Do you hate the side effects that your blood pressure medications is causing? Do you want to lower your blood pressure naturally with food so that your doctor will tell you that you don't have to take medication anymore? 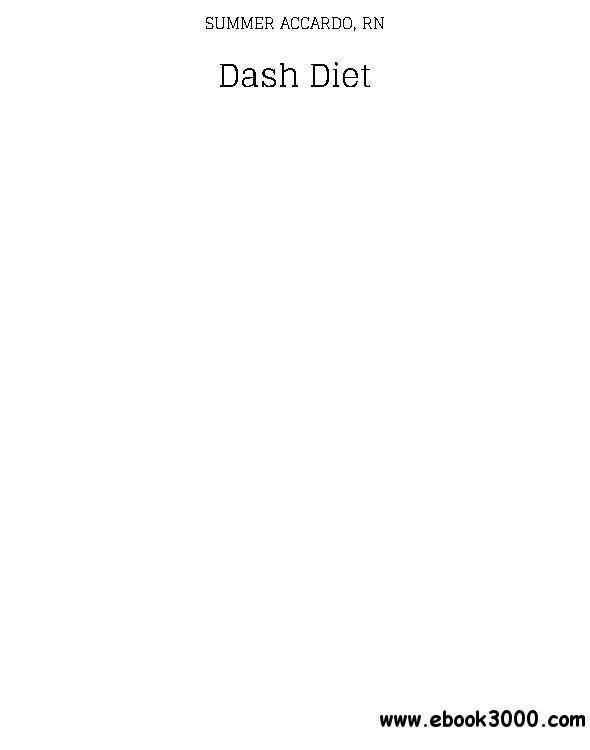 This DASH diet cookbook will help dramatically lower your blood pressure without medication and will revolutionize your life to restore your vitality! From bestselling author and registered nurse, Summer Accardo, RN, comes this unique DASH diet cookbook that will help you lose weight fast while decreasing your blood pressure so that you can live healthier and enjoy more energy! Discover the magnificent benefits that the DASH diet can have on your health and weight. DASH stands for "dietary approaches to stop hypertension." The DASH diet is scientifically formulated to help lower your blood pressure naturally, while boosting your metabolism so that you can lose weight quickly and safely.